A genuine appreciation for the difference between indulgences and incidentals defines the most graduated class of customer. These shoppers will find delight at The New York Times Store, offering the very best in unique items and historical gifts. 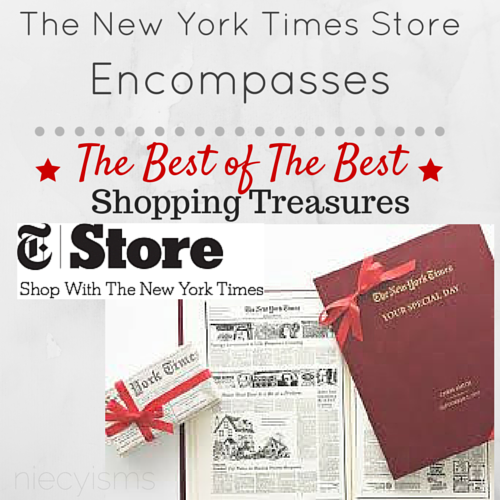 Launching in 1998, the New York Times Store places high value on providing customers with unrivaled quality, outstanding service and complete customer satisfaction. The unparalleled assortment of historic and artistic merchandise curated by The New York Times is featured in the store offering an indulgent concept for exclusive products and gifts including- rare artifacts and antiques, authentic autographs, personalized gifts, meticulously constructed models, fine art prints and posters from every era and extraordinary historic photographs from their extensive archive. 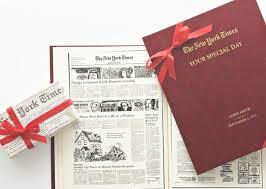 Affectionately known as The Gray Lady, The New York Times is showcased in a selection of exclusive gifts, such as commemorative newspaper reprints, custom special occasion books, crossword puzzle compilations and apparel for the truest of fans. 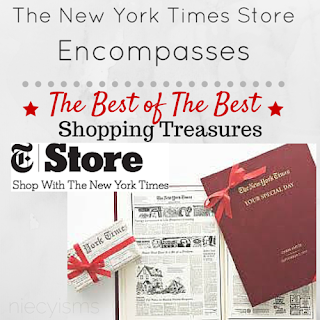 Indulge yourself or someone special with a special find to be treasured forever at The New York Times Store. Enter the code BLOGGER 20 at checkout for an exclusive sitewide 20% off discount from The New York Times Store!